Assortment of green plants in a beautiful ceramic dish. Comes trimmed with fresh cut daisies and a matching bow. Ceramic dish and plant variety may vary. 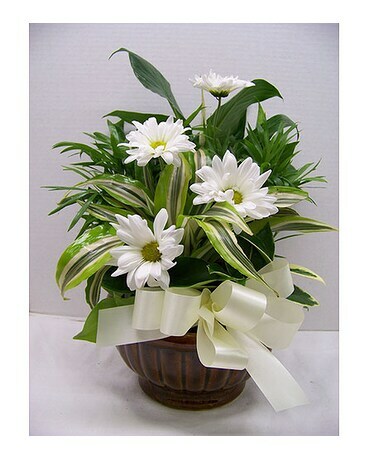 DAISY/MUM COLOR AND BOW COLOR MAY VARY FROM THE AS SHOWN PICTURE.